Kevin is Business Director of SIPPI, Executive Director of Glasgow Economic Leadership and Managing Editor of the Fraser of Allander Economic Commentary, the leading publication on the Scottish economy and wider public policy issues. Prior to joining SIPPI, Kevin held senior posts in Scottish Enterprise, latterly as Senior Director of Policy Development. Since 2010, he has been Executive Director of Glasgow Economic Commission / Leadership and adviser to its Chair, Professor Sir Jim McDonald, Principal of the University of Strathclyde. 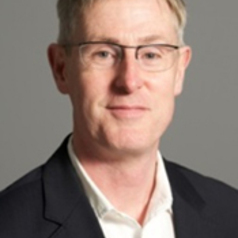 With a background in Economics and Geography - MA(Hons) University of Glasgow; MS (by Research), University of Tennessee, Knoxville - and an MBA from Strathclyde Business School, Kevin has 25+ years of professional experience in economic development in policy and operational roles with Scottish Enterprise and the Scottish Development Agency. He has led teams in urban / regional policy and strategy, creative industries (incl. film and TV) and industrial / cluster policy and delivery. Kevin has international experience with the OECD and EU and has published academic and policy research. He is a joint author of Berlin: Towards an Integrated Strategy for Social Cohesion and Economic Development (OECD, 2003), was a principal contributor to ‘The Role of Local Economic Leadership in a Global Crisis’ (OECD, 2009) and is author of Glasgow Economic Commission: Final Report & Recommendations (2011).